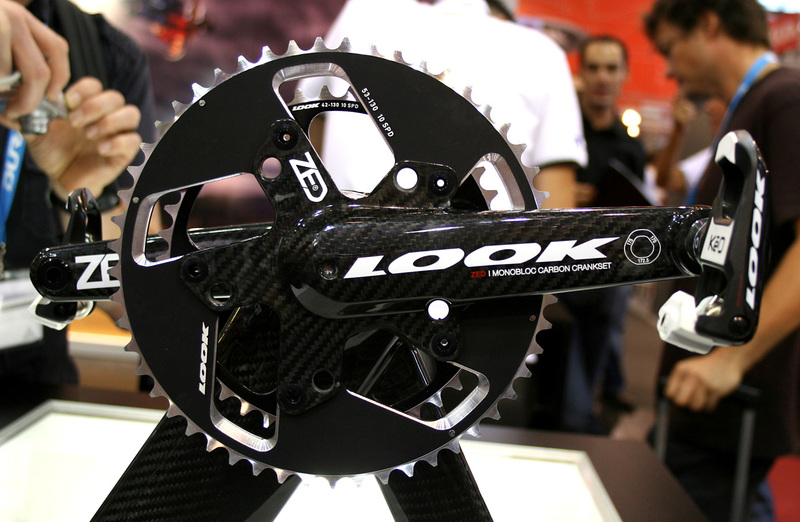 Almost twenty years since Look first introduced a carbon chainset to the public, they have pushed the envelope some more with the first totally hollow one piece chainset. 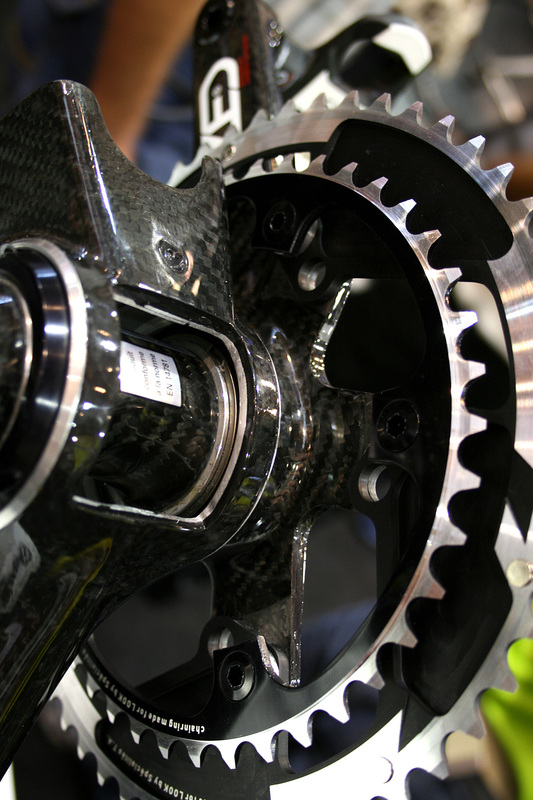 With a spider that accepts either 130 or 110 bcd chainrings, this is one of the most innovative components we have seen here so far. It won’t fit into standard bottom brackets though and has an axle considerably larger than anything else. we have seen so far.